Gone are the days when watching a movie at Glorietta 4 was considered rave-worthy and lining up for an early screening at Louie's THX a tad bit grand. 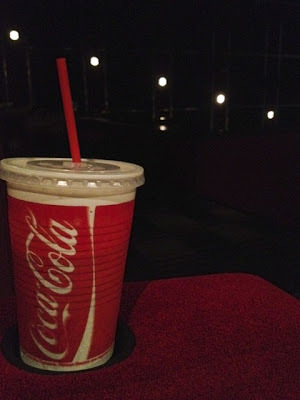 My boys and I are contented with watching movies in regular movie houses but when there are predicted blockbuster movies that would hit the theaters, we would opt to see it in cinemas that offers a more comfortable viewing pleasure. Why? So as not to feel too unreasonable. 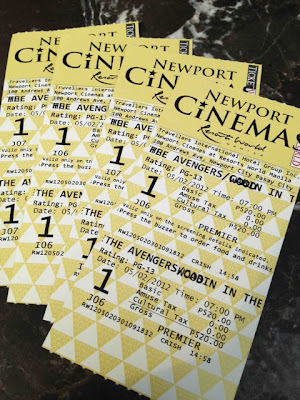 So, when The Avengers opened in Manila, J2 and I took our boys to see the movie at the Newport Ultra Cinema at Resorts World. First of all, yes they are pricier than most (or all) in their league but I'm not gonna complain about that because one; it is my choice to watch a movie here and two; the price does come with things worthy of a praise/s. 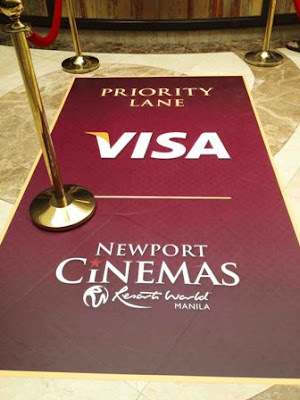 The Newport Ultra Cinema is located at the 4th floor of the Resorts World Manila along with the rest of the movie theaters - a total of four cinemas. Cinema 3 is where they feature 3D movies while Cinemas 2 and 4 are the regular movie theaters, and of course, Cinema 1 is the mother of all four and also known as Ultra Cinema. A "special" lane for Visa Card holders. 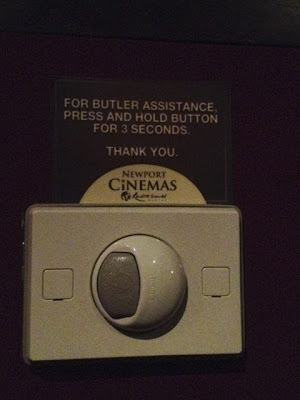 This is actually quite helpful when there's an influx of moviegoers. There's a lounge outside the cinemas with comfortable sofas but without free wi-fi and that ladies and gentlemen is a modern day sin. 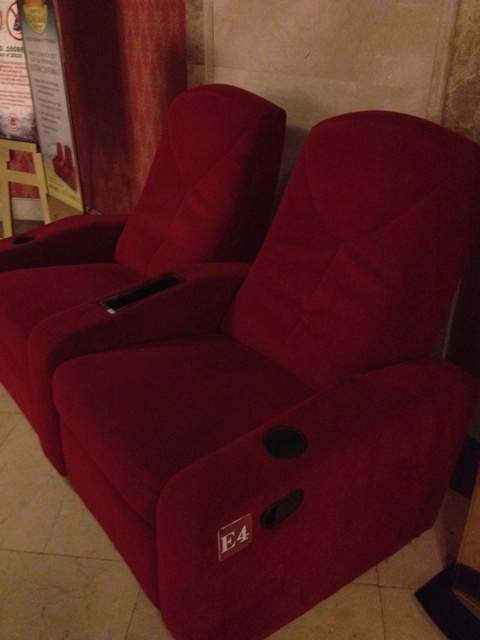 Two Ultra Cinema 1 recliners are available outside for those who want to get a feel of them. 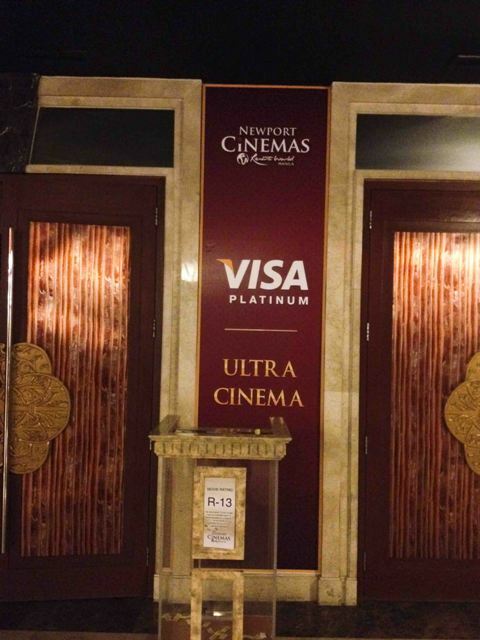 Entrance to the cinema with its bronze chinese like doors and a Visa Platinum sign subtly screams "That's right baby..we're 'exclusive'!" The seats are very comfortable. Not too soft, not hard, just right. It also has seat covers for hygienic purposes I assume. Bonus! 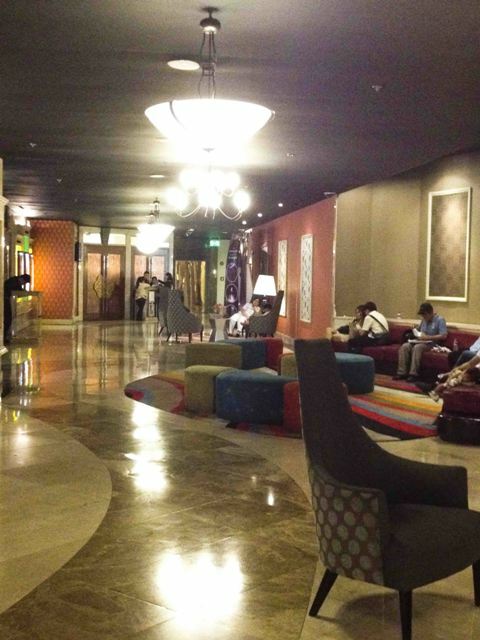 There are two recliners on each side and four recliners in the middle and all of which are inside cubicles (or pods, as they describe it) for privacy. That is actually nice to know for dating couples but useless for those couples who have been married for more than 10 years and who treat each other like neighbors. 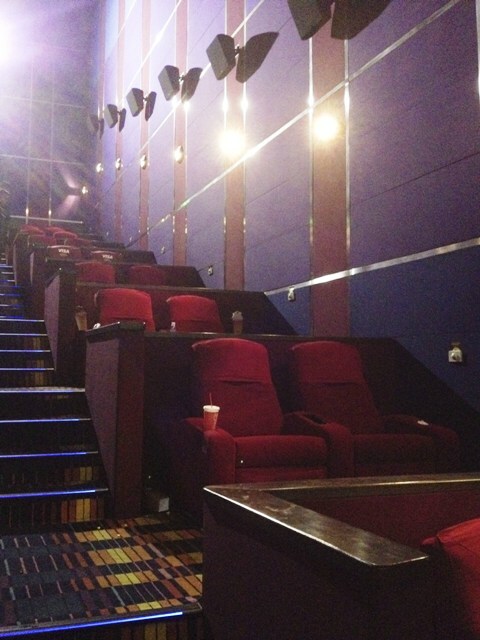 There are a total of 80 recliners at the Ultra Cinema. The recliners are spaced out perfectly. Over all comfort level is excellent. Very sleep conducive. WARNING: Read the instructions first before getting irritated at the butler for not immediately attending to your needs. Yeah, I didn't hold the button for 3 seconds. My son yelled, "No, you gotta press it for 3 seconds!" My bad. The butlers are all attentive though. They really give great service and are very courteous too. A plus for me in every movie house are clean and accessible restrooms. Might be a little shallow for most but when you're on your third cup of soda, you'll be thanking the high heavens for this. So clean and odor-free. 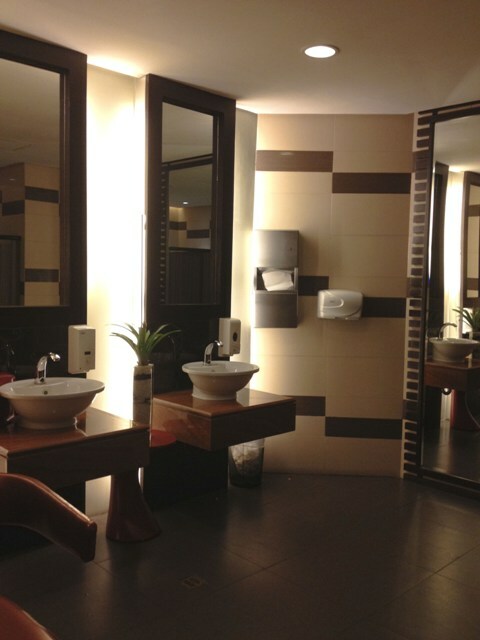 You'll also be able to hear the sound of the movie clearly from inside the restrooms. Temperature-wise, Ultra Cinema hits the spot. You won't get the chills even if you drink lots of soda. I just hate movie houses who are colder than Alaska. So hard to concentrate on what you're watching when you're head feels like it's about to explode from the cold. I'm no sound expert but I'm not deaf either so I observed that the acoustics at the Ultra Cinema are much clearer and crisper than the other Newport Cinemas. Ok, here's my favorite part about Newport Cinemas in general. They have a 24 hour weekend screening! Perfect for nocturnal creatures like me. 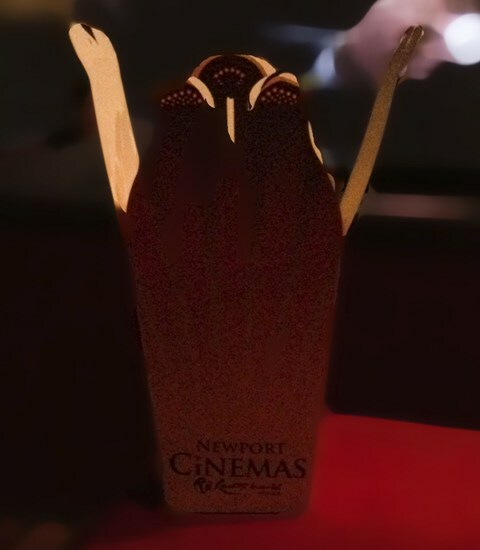 So, when you're awaken by whatever during the wee hours of the morning, check out Newport Cinemas and I just might see you there. P.S. : Please excuse the grainy images. I forgot to bring my camera that day and used my iPhone instead. Thanks! So posh! thanks for sharing this! 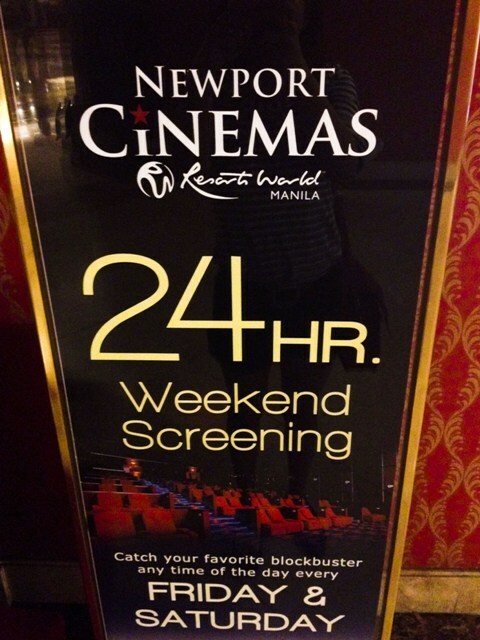 they have 24 hour weekend screening pala?! yey! You're welcome! :) Psyched about the 24hr weekend screening as well. Will follow you. Thanks! Aalia resorts rishikesh and haridwar offers you a sight worth beholding. With a verdant expanse of greenery and water at one place, it is nothing less than boon for the vacationers who come to rejuvenate their senses in a true way.